Domanda: E' da qualche giorno che durante la masterizzazione sono afflitto da un msg di errore (con NERO ) che sintetizzo in scrittura fallita (medion not present) il risultato è che il cd masterizzato risulta illeggibile nel masterizzatore (waitec storm 48/1) mentre risulta leggibile nel lettore dvd del pc e anche nell'altro lettore del Nootebok. Il cd masterizzato nn viene letto nel masterizzatore come se risultasse vuoto. 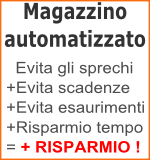 Stesso msg di errore viene emesso nella formattazione di un cd riscrivibile che nn riesce ad essere formattato ne con Nero nè con Clone. Alleghiamo msg che viene evidanziato da Nero : Windows XP 5.1 IA32 WinAspi: File 'Wnaspi32.dll': Ver=4.57 (1008), size=48128 bytes, created 23/12/1997 2.23.24 ahead WinASPI: File 'C:\Programmi\ahead\Nero\Wnaspi32.dll': Ver=2.0.1.59, size=160016 bytes, created 29/01/2003 20.37.36 Nero Version: 5.5.10.20 Recorder: Version: 9.CK - HA 1 TA 0 - 5.5.10.20 Adapter driver: HA 1 Drive buffer : 2048kB Bus Type : default (0) -> ATAPI, detected: ATAPI CD-ROM: Version: 1.14 - HA 1 TA 1 - 5.5.10.20 Adapter driver: HA 1 Bus Type : default (0) -> ATAPI, detected: ATAPI === Scsi-Device-Map === DiskPeripheral : Maxtor 6Y080L0 atapi Port 0 ID 0 DMA: On DiskPeripheral : IBM-DPTA-372050 atapi Port 0 ID 1 DMA: On CdRomPeripheral : WAITEC STORM48/1 atapi Port 1 ID 0 DMA: On CdRomPeripheral : PIONEER DVD-ROM DVD-104 atapi Port 1 ID 1 DMA: Off CdRomPeripheral : AXV CD/DVD-ROM 2.2a xmasscsi Port 2 ID 0 DMA: ? ======================= AutoRun : 1 Excluded drive IDs: CmdQueuing : 1 CmdNotification: 2 WriteBufferSize: 57671680 (0) Byte ShowDrvBufStat : 0 EraseSpeed : 0 BUFE : 0 Physical memory : 383MB (392672kB) Free physical memory: 105MB (108176kB) Memory in use : 72 % Uncached PFiles: 0x0 Use Static Write Speed Table: 0 Use Inquiry : 1 Global Bus Type: default (0) Check supported media : Enabled (1) Wizard: Off 2.3.2004 CD-ROM (ISO) 12.51.20	#1 Text 0 File Isodoc.cpp, Line 7579 Iso document burn settings ------------------------------------------ Determine maximum speed : FALSE Simulate : FALSE Write : TRUE Finalize CD : TRUE Multisession : FALSE Burning mode : TAO Mode : 1 ISO Level : 1 (Max. of 11 = 8 + 3 char) Character set : ISO 9660 Joliet : TRUE Allow pathdepth more than 8 directories : TRUE Allow more than 255 characters in path : TRUE Write ISO9660 ;1 file extensions : TRUE 12.51.21	#2 Phase 103 File dlgbrnst.cpp, Line 1655 SafeLink activated 12.51.21	#3 Text 0 File Reader.cpp, Line 115 Reader running 12.51.21	#4 Text 0 File Writer.cpp, Line 125 Writer WAITEC STORM48/1 running 12.51.21	#5 ISO9660GEN -11 File geniso.cpp, Line 4563 First writeable address = 0 (0x00000000) 12.51.21	#6 Text 0 File Burncd.cpp, Line 3726 Turn on Track-At-Once, using CD-R/RW media 12.51.21	#7 Text 0 File ThreadedTransferInterface.cpp, Line 672 Setup items (original item values) 0: TRM_DATA_MODE1 (CTransferItem) 2 indices, index0 (150) not provided original CD pos #0 + 353621 (353621) = #353621/78:34.71 relocatable, CD pos for caching/writing not required/required, no patch infos -------------------------------------------------------------- 12.51.21	#8 Text 0 File DlgWaitCD.cpp, Line 215 Last possible write address on media: 359848 (79:59.73) Last address to be written: 353620 (78:36.70) 12.51.21	#9 Text 0 File DlgWaitCD.cpp, Line 220 Write in overburning mode: FALSE 12.51.21	#10 Text 0 File DlgWaitCD.cpp, Line 1657 Recorder: WAITEC STORM48/1; CDR code: 00 97 27 58; OSJ entry from: Mitsui Chemicals, Inc. ATIP Data: Special Info [hex] 1: 00 00 00, 2: 00 00 00 (LI 0:00.00), 3: 00 00 00 (LO 0:00.00) Additional Info [hex] 1: 00 00 00 (invalid), 2: 00 00 00 (invalid), 3: 00 00 00 (invalid) 12.51.21	#11 Text 0 File ThreadedTransferInterface.cpp, Line 824 Prepare recorder WAITEC STORM48/1 for write in TAO DAO infos: ========== MCN: TOCTYPE: 0x0 Session Closed, CD fixated Tracks 1 to 1: TRM_DATA_MODE1, 2048/0x0, ISRC "", FilePos 0 307200 724523008 12.51.21	#12 Text 0 File ThreadedTransferInterface.cpp, Line 852 Removed 2 run-out blocks from end of track 1. 12.51.21	#13 Text 0 File ThreadedTransferInterface.cpp, Line 672 Setup items (after recorder preparation) 0: TRM_DATA_MODE1 (CTransferItem) 2 indices, index0 (150) not provided original CD pos #0 + 353621 (353621) = #353621/78:34.71 relocatable, CD pos for caching/writing not required/required, no patch infos -> TRM_DATA_MODE1, 2048, config 0, wanted index0 0 blocks, length 353619 blocks [WAITEC STORM48/1 ] -------------------------------------------------------------- 12.51.21	#14 Phase 24 File dlgbrnst.cpp, Line 1655 Caching of files started 12.51.21	#15 Phase 25 File dlgbrnst.cpp, Line 1655 Caching of files completed 12.51.21	#16 Phase 36 File dlgbrnst.cpp, Line 1655 Burn process started at 8x (1.200 KB/s) 12.51.27	#17 Text 0 File ThreadedTransferInterface.cpp, Line 1978 Verifying CD position of item 0 (relocatable, CD pos, no patch infos, orig at #0): write at #0 12.51.27	#18 Text 0 File Mmc.cpp, Line 17693 Set BUFE: SafeLink -> ON 13.01.28	#19 Text 0 File ThreadedTransfer.cpp, Line 219 all writers idle, stopping conversion 13.01.40	#20 Text 0 File Mmc.cpp, Line 12699 start Close Session 13.02.34	#21 MMC -1080 File ThreadedTransferInterface.cpp, Line 994 Medium not present 13.02.34	#22 TRANSFER -19 File ThreadedTransferInterface.cpp, Line 994 Could not perform Fixation 13.02.34	#23 Text 0 File Mmc.cpp, Line 12699 start Close Session 13.02.34	#24 SCSI -1080 File Cdrdrv.cpp, Line 1208 SCSI Exec, HA 1, TA 0, LUN 0 Status: 0x04 (0x01, SCSI_ERR) HA-Status 0x00 (0x00, OK) TA-Status 0x02 (0x01, SCSI_TASTATUS_CHKCOND) Sense Key: 0x02 (KEY_NOT_READY) Sense Code: 0x3A Sense Qual: 0x00 CDB Data: 0x5B 0x01 0x02 0x00 0x00 0x00 0x00 0x00 0x00 0x00 0x00 0x00 Sense Data: 0x70 0x00 0x02 0x00 0x00 0x00 0x00 0x0A 0x00 0x00 0x00 0x00 0x3A 0x00 13.02.34	#25 MMC -1080 File ThreadedTransferInterface.cpp, Line 994 Medium not present 13.02.34	#26 TRANSFER -19 File ThreadedTransferInterface.cpp, Line 994 Could not perform Fixation 13.02.35	#27 Phase 38 File dlgbrnst.cpp, Line 1655 Burn process failed at 8x (1.200 KB/s) 13.02.35	#28 Text 0 File Scsicmd.cpp, Line 406 SCSI not using temporary buffers 20 out of 20 temporary buffers allocated Existing drivers: File 'Drivers\NeroCD2k.sys': Ver=1.0.0.9, size=44227 bytes, created 16/04/2001 11.54.26 File 'Drivers\ASPI32.SYS': Ver=4.57 (1008), size=23936 bytes, created 23/12/1997 3.02.46 File 'Drivers\atapi.sys': Ver=5.1.2600.0 (XPClient.010817-1148), size=86656 bytes, created 31/08/2001 11.00.00 (Adapter driver for rec) Registry Keys: HKLM\Software\Microsoft\Windows NT\CurrentVersion\WinLogon\AllocateCDROMs : 0 (Security Option) Vi ringraziemo se potete aiutarmi Nn so se trattasi di un errore o problema softwareo Hardware.